The owner of the www.southafrica.to website has been feeling a fair bit of guilt. Why, you may ask. 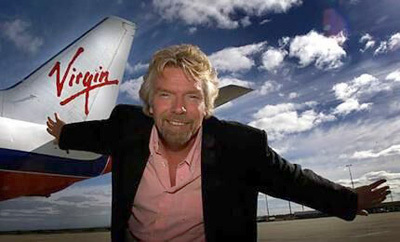 After all, what's wrong with setting up a website which helps people find the cheapest flights? The rub is that flying is exceptionally bad for the environment. 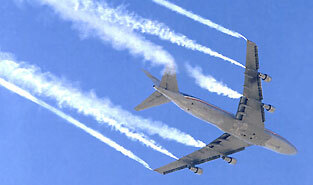 Due to the carbon emitted, flying is one of the biggest contributors to global warming. If you want to do one good thing for the environment -don't ever fly!! If you are going to fly, then try fly direct non-stop flights (the most concentrated emissions occur during take-off and landing). Where there's a problem, humans are adept at formulating a solutions (particularly when there's some money in it for them!). Carbon neutral flights entail spending money on carbon offset schemes to make up for the carbon emitted into the atmosphere during your flight. For instance, a flight from Cape Town to London emits 1.1 tons of Carbon Dioxide into the atmosphere. To offset this carbon emitted one could, for example, invest in wind energy (which has no carbon footprint). You can pay a bit extra to offset your carbon emissions when you book an SAA flight. South African Airways' pet project is to fund the purchase of efficient wood burning stoves in Uganda, or more specifically Kampala. In 2014 Mango Airlines will be joining South African Airways' voluntary carbon offset projects. SAA plans on switching to a South African project. Delta Air Lines has become the first USA airline to help its passengers offset the carbon emissions associated with air travel. Delta has joined forces with The Conservation Fund, a nonprofit outfit dedicated to protecting water and land resources. It kickstarted its campaign on the 22nd April 2007 (Earth Day) by planting some 47,000 trees, one for each of Delta's employees. From the 1st June 2007, Delta's passengers who purchase their tickets online have the option to donate $5.50 for a domestic roundtrip flight and $11 for an international roundtrip flight, which will be used to plant trees. Delta also launched an on-board recycling program on domestic USA flights into Atlanta, that recycles all aluminum, plastic and paper products (e.g. newspapers, snack containers, soda cans and water bottles). Carbon offsets are made easy by companies like the Carbon Neutral Company, where one can purchase carbon offsets for your flights (it would cost some R150 to offset the carbon emissions from a flight from Cape Town to London). Another option is a company called Tree Flights, which plants one tree for each flight you take. For those who are travelling from Europe to the USA, a little company called Silverjet is offsetting the emissions of each flight across the Atlantic. Silverjet includes within all its airline ticket prices a mandatory contribution towards a carbon offset contribution, which reinvests “Carbon Points” into a number of climate friendly projects around the world. Silverjet's carbon neutral program has been set up in partnership with the Carbon Neutral Company. Projects which have enjoyed Silverjet's support include a project in Jamaica encouraging the use of energy efficient lightbulbs, a New Zealand wind farm, a project which captures methane as it leaks from disused US mines and ‘flares’ it, converting it into carbon dioxide. Out of the airliners flying in South Africa, British Airways have taken something of a lead in the carbon-neutral flight stakes. When you book your flight on the British Airways site, you have the option to pay for carbon offsets. An organisation called Climate Care invests the money you pay in sustainable energy projects that tackle global warming by reducing carbon dioxide levels. Climate Care's projects include a scheme in South Africa that has distributed 50,000 energy efficient lamps via school groups as part of an environmental awareness campaign. In September 2012, Mango Airlines announced plans to become substantially carbon neutral within a decade. With typical Scandanavian environmental consciousness, Scandanavian Airlines offer their passengers the possibility of ofsetting their carbon emissions. Like Silverjet, Scandanavian Airlines partners with the Carbon Neutral Company in London. With soaring fuel costs cutting into airlines' profit margins, it's no surprise that both Airbus and Boeing are boasting about the fuel efficiency of their planes (which has the added benefit of reducing the carbon footprint). In November 2006, as the first airbus A380 to fly in South African skies came in on its final approach, any mumbles about environmental damage from aircraft were drowned about by the deafening noise of its Rolls-Royce engines. Even though the A380 is the heaviest aircraft ever to use Johannesburg's premier airport, it is also one of the most fuel efficient - the A380 sips just 3 litres of fuel per passenger per 100km travelled, which is up there with the most efficient of motor vehicles. So, here's one way to reduce your carbon footprint - once it comes along insist on flying with the A380. Boeing's upcoming Dreamliner 787 colossus promises to be 20% more fuel efficient than any planes flying today, carrying up to 330 passengers. See South Africa's Carbon Tax Discussion Paper and our comments on a carbon tax.